Added on 21 August 2018 . By Anisah Audu. DesignMyNight has teamed up with London's best brunch spots for an epic Brunch Weekender. You know what's better than brunch? A whole weekend dedicated to the iconic afternoon ritual. 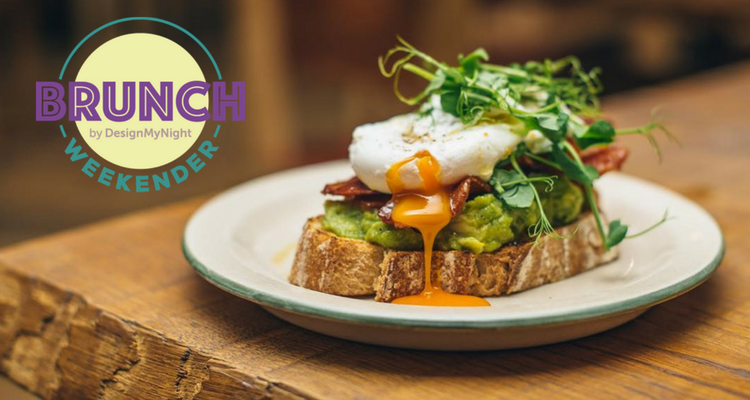 That's right, DesignMyNight is hosting London's first ever Brunch Weekender, where you can get access to menu launches, exclusive discounts and special brunch parties. Taking place on Saturday 22nd and Sunday 23rd of September, the two day affair is bursting with thirst-quenching cocktails and signature dishes from some of the city's best restaurants, bars and venues. From Bourne and Hollingsworth to Helix at the Gherkin and Little Blue Door, we've gathered some of our favourite foodie destinations, who will be offering whopping one-off deals including a drink and brunch dish for £10 or bottomless drinks and a brunch dish for just £20. Think frozen margaritas at BabaBoom, fluffy pancakes with lashings of chili honey and bacon at Little Blue Door, or bottomless bubbles and mouth-watering pizza as London Shuffle Club launches a brand new brunch offering. You'll want to skip breakfast, because this is going to be a fully-fledged brunch extravaganza. It's all about the 90s at Little Nan's brunch party, while over at Ballie Ballerson in Shoreditch, there will be copious amounts of fizz and fun in the iconic ball pit. If you just don't want the party to end, head to Disco Brunch, which sees the guys from Hip Hop Brunch serving up games, cocktails, groovy disco tunes and, of course, brunch. DesignMyNight's Brunch Weekender takes place over Saturday 22nd and Sunday 23rd of September. Discover more information on deals, events and offers here.